As the chute deploys and you begin your five-minute drift back to earth, you’ll quickly begin feeling the transformation and thrill. This moment will be captured followed by rounds from a AR-15 rifle! Their spotless safety record is buttressed by a team that’s clocked countless hours of freefalling. The crew also includes two FAA-certified parachute riggers! Everyone’s experience and good humor puts you at ease. Freefalling at 120 mph is by no means a stroll in the park. But that’s what makes skydiving near Dallas so amazing in the first place. 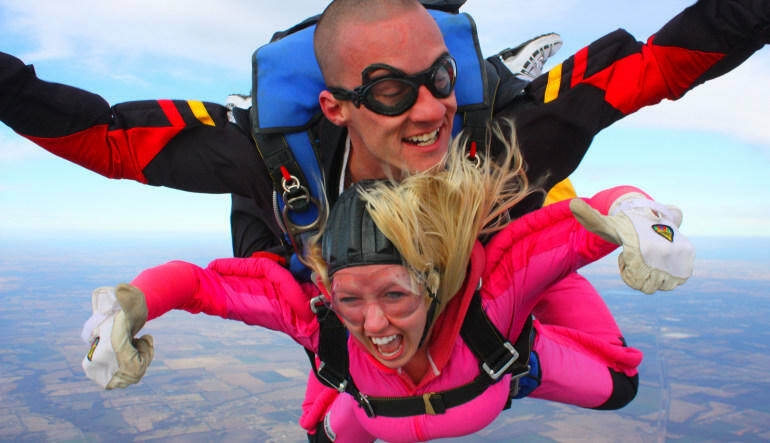 And speaking of bragging rights, this Dallas skydive includes not only a photo set of your jump but also a video that captures every hair raised. Your tandem skydiver is equipped with a GoPro that documents the entire plunge! 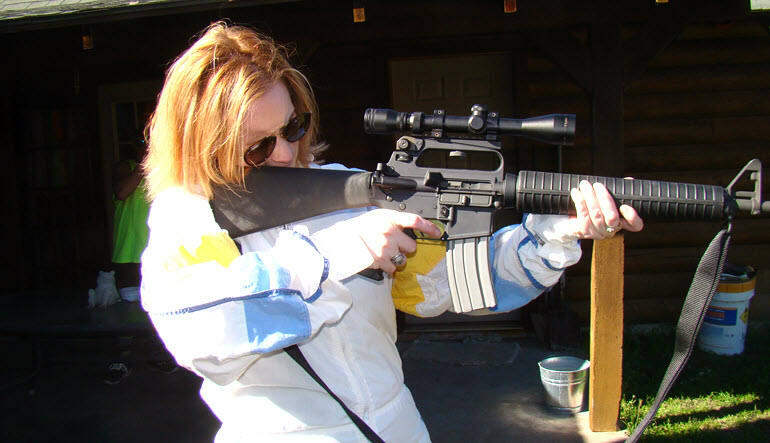 It doesn't end yet, once you have safely come back to earth, you will head across to the gun range to shoot some rounds from America's most popular rifle! 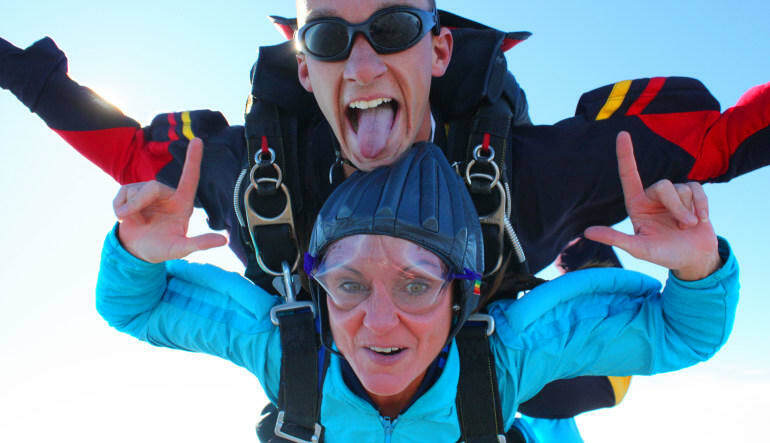 Take an unforgettable tandem skydive above Dallas! Arrive at the drop zone (a former WWII training base!) for a quick safety briefing. Family and friends can wait in comfort in the lovely lodge while you take on the adrenaline rush. Hop into your aircraft and ascend 10,000 feet. Enjoy stunning Dallas views as the adrenaline kicks in. Make your way to the hatch, take a deep breath—you’re flying! Reach speeds of up to 120 mph! After approx. a minute of freefalling, your chute deploys—enjoy a 5-minute drift back to earth. Walk away from the adventure with a full photo set and a video capturing your plunge! But the excitement doesn't end there- fire 25 rounds from a AR-15 Rifle at gun range just behind you. This particular adventure is highly popular among both locals and tourists (many travel far for the views!). 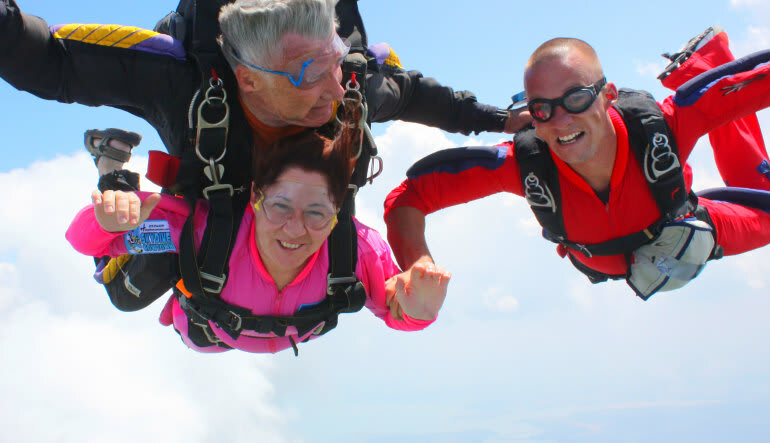 So, if you’re planning a Dallas skydive with your buddies, be sure to book today! All instructors are fully licensed by the United States Parachute Association and have each logged thousands of jumps.